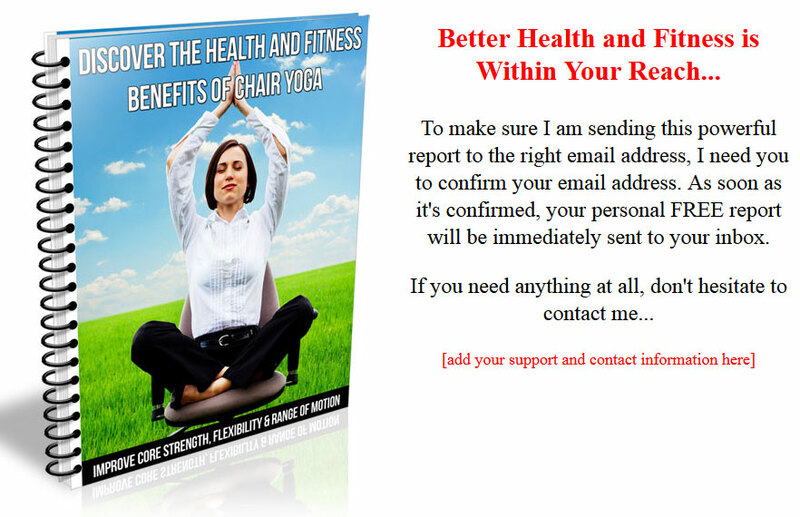 Chair Yoga PLR Report is the perfect ready to go content for list building, email marketing or content. You’ll also get Private Label Rights. 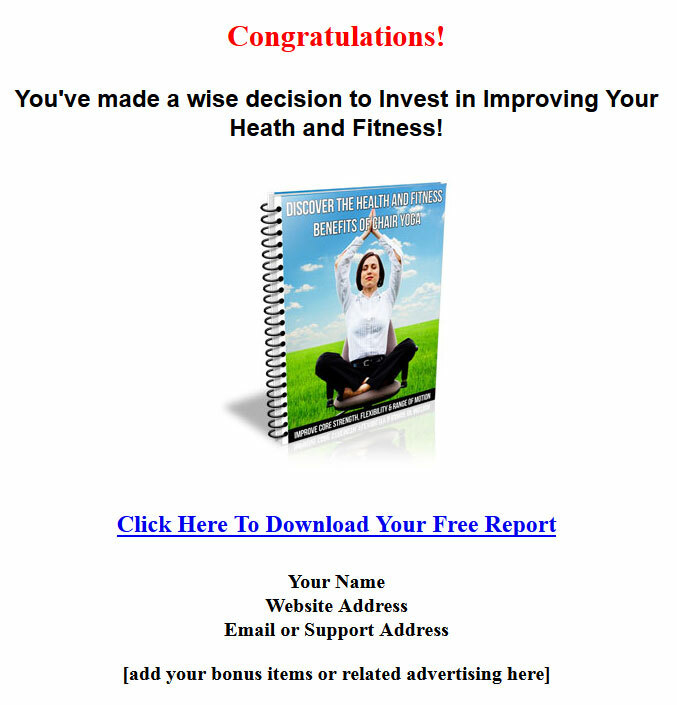 As you well know the health and fitness markets are HUGE and so highly profitable. You know there is alot of money to be made in these niches. And as you know, one of the sub-niches in the fitness market is yoga. It’s a fitness program that’s been around for longer than we even know. It’s a proven fitness program that works. 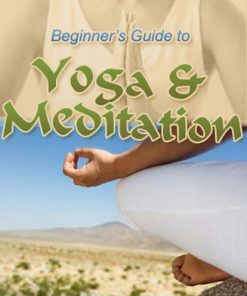 Problem is, for many people, yoga fitness is difficult and for others it is near impossible. 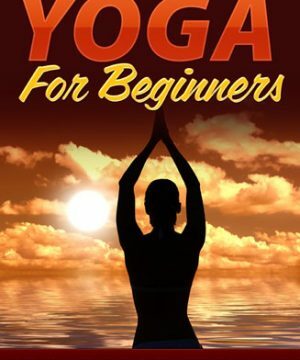 Here is where you come in, by showing people how to easily practice yoga from the comfort of their own chair. A yoga plan that can work for most any one, even those with physical disabilities. 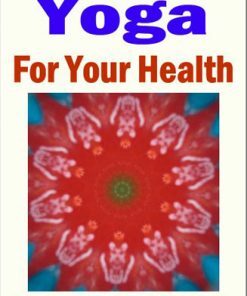 So almost any one can gain the benefits of yoga and increase their range of motion, strengthen their core and more. 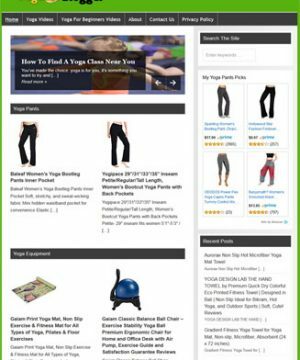 You’ll be getting a complete chair yoga listbuilding package that includes everything you need to start building a profitable list starting today. Quality short give-away report made to get them wanting more. 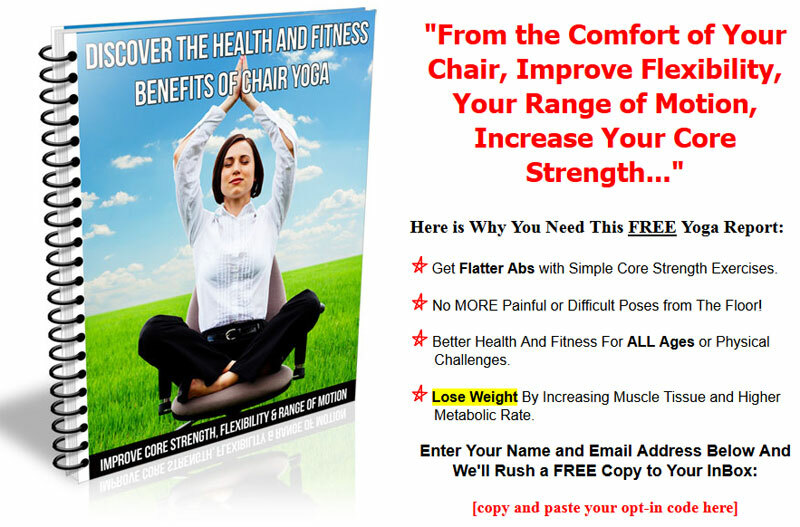 Chair Yoga PLR Report Give-away comes in both Word DOC and Open Office ODT so you know how easy it is to edit it, so suit your needs. You could add your name, website address or even your affiliate links for added income coming into your business. Just copy and paste your opt-in code, your report download link and upload the pages. Send traffic to the squeeze page it’s building you a list, on auto-pilot, even while your sleeping at night. Since the webpages are HTML, you can edit or change them any way you want or need. Brand them with your name or website address. You become the expert and authority, even if your not that knowledgeable on the subject. We also created a brand new eCover from scratch just for this product. It’s something you won’t find anywhere else but here. So grab it to have the exclusive. You’ll also be getting the flat PSD for the eCover, so you can brand it as your own.